Recently, I read a blog post by a classmate of mine regarding this classmate’s own personal experiences with Teach for America (TFA). This personal account really resonated with me because I found it strikingly similar to my own struggles when I grappled earlier this year with the decision of whether or not to apply for a Teach for America position. I too was captivated by the idealistic notion of committing my time to making a difference in the lives of underprivileged children. A Teach for America recruiter expressed her excitement at my interest and offered me the very rosy sales pitch for why I should join. As I began to do my own research and as I progressed further through my Master’s in Education gaining a better understanding of the education system and of various education policy debates along the way, I quickly became very disillusioned with the idea that I would actually be doing some good as a Teach for America recruit. With each e-mail that the recruiter incessantly sent me following our conversation urging me to apply, which was also mentioned in my classmate’s blog post as excessive and caused her to perceive TFA as “more commercialized and less competitive,” I increasingly questioned my desire to join until I ultimately chose not to. It is here that I wish to shed some light on why. My major is Globalization and Educational Change, and I am interested in just that: change. Education can easily be used as a tool to reproduce the status quo, but whether it is in my own backyard or somewhere across the world, I am passionate about seeing education increasingly being used as a force for empowerment and self-fulfillment. Ultimately, I am skeptical that Teach for America is contributing to change in the entire system of education in a positive way. Teach for America is an organization that sees itself on the frontlines of “A Solvable Problem,” and that problem is the achievement gap. TFA representatives believe that all children, even those in poverty, can achieve at the highest levels – despite the challenges they face – if provided the opportunity. This is without question a cause worth believing in, but what do the statistics show? In short, the achievement gap is maintaining a stubborn hold within our society, as it has persisted for almost 20 years, essentially unchanged. Interestingly, Teach for America began in 1990 and has been operating ever since. While one can argue that the achievement gap has not widened very much as evidenced above, it does not seem as though Teach for America is addressing some of the systemic ways in which our education system in the United States is failing certain populations of students. I have long questioned whether our system could use more alternative routes into teaching, whether our standard methods of study and certification are ultimately leaving out large portions of individuals that, while they may not be able to afford to get a college degree or a master’s degree, could prove to be excellent in the classroom with some time and experience. For example, Darling-Hammond, Holtzman, Gatlin, and Heilig (2005) explore how various pathways to certification affect the effectiveness of both TFA and non-TFA teachers in Houston, Texas. The authors cite that alternatively certified teachers in Houston were particularly effective in raising students’ Aprenda scores, which is a standardized test given to students who receive reading and language arts instruction in Spanish. Their rationale for this trend was that the Houston alternative certification program enrolls a very large number of Hispanic teachers, many of which are Spanish-speaking and may be better able to support the literary progress of Spanish-speaking students. It is clear here that an alternative pathway to certification may prove to be very valuable in serving this population, especially given that a majority of students in Houston are Hispanic. It may be argued that Teach for America is another one of these alternative pathways into teaching that ultimately places passionate and capable individuals in the classroom. However, it is no secret that Teach for America recruits students at the top of their class from elite universities, as they have been criticized for becoming merely a stepping-stone for these elite students on their path to becoming something greater. These recruits are then placed in ‘hard to staff’ districts to teach the most at-risk youth in the country. Is this really changing at all the demographics of teachers that have access to the classroom? While some of these recruits may be successful, others struggle to relate to their students and are unable to meet their specific needs. New Oriental: How to make private tutoring successful in China? Recently, students in Lehigh’s International Education Policy class discussed the issues surrounding private tutoring, also called shadow education. The discussion focused on such issues as the phenomenon of private tutoring becoming worldwide, the equity implications of private tutoring, and the professional ethics of teachers who also work as private tutors. However, the situation of private tutoring is quite different in different countries. For example, shadow education functions successfully in Japan, while in other countries (such as Cambodia) private tutoring is not as successful. Although private tutoring has become a worldwide phenomenon, it is still heatedly debated. 2. Offering new tutoring modes. “Speed Education”  is a strategy which New Oriental has implemented for many years. It means that most courses provided by New Oriental are short-term and last no more than twenty days during the holidays. At the same time, New Oriental learning centers are all over China, increasing access to tutoring services to students. Students don’t have to squeeze their own time from their busy school schedules; instead, they can choose any learning center which is near their homes. If there are still students who cannot attend the classes, they can choose to use online courses. Moreover, although the courses are short-term, the fees are very high. The high fees put pressure on students who are eager to make full use of every coin they pay. They have clear learning goals and concentrate on the entire courses, often resulting in totally different performances compared to their regular school classes. At the same time, during the tutoring classes, teachers always tell some interesting stories about what happened to them in order to catch students’ attention, creating lively class discussions and avoiding boredom in their classroom. Besides, in New Oriental, there is an interesting policy of grading for teachers. In regular schools, teachers grade students; however, the roles change in New Oriental, where students grade and give feedback on each of their teachers’ performance. This policy guarantees the quality of courses and also is convenient for collecting suggestions from students. 3. Teaching the learning skills. Although New Oriental offers short-term courses, students receive plenty of information and curriculum content in the short period, which means that teachers have to make full use of every minute to deliver their knowledge. To make the class more effective, teachers choose to focus on the skills and not only the content of the teaching materials. For example, for the reading questions in GRE, teachers will teach students how to exclude wrong answers and choose the right answers. When students participate in the exams, they have learned how to use the skills to answer the questions correctly. The higher frequencies of high scores on GRE or GMAT prove that those skills are more useful than the traditional teaching ways. 4. Raising the quality of teachers. Unlike those regular schools in China, the educational levels of New Oriental teachers are relatively higher and New Oriental has strict requirements for teacher recruitment. Many teachers graduated from elite universities all over the world, such as Peking University, The Chinese University of Hong Kong, University of Pennsylvania, and others, thus creating an “elite team.” Besides, each teacher in New Oriental should have his or her own featured teaching method,  guaranteeing that every teacher is distinctive and thus ensuring unique learning experiences for students. Although New Oriental makes much contribution to the development of English in China, its commercial character is geared towards the generation of profit, which is also a reason of high fees. Rather than opening more learning opportunities for all students, New Oriental is only increasing opportunities for students who can afford the cost. This can future deepened social inequities in the area of education. Furthermore, New Oriental is also criticized for problems in its leadership as reflected in such news titles as “Contradictions appear among administrative leaders in New Oriental”, “More and more teachers leave New Oriental,” and so on. According to the news reports, New Oriental has reached its success because of its collaborative leadership. However, some critics argue that as the company has become more successful and profitable, those leaders have become more arrogant and less collaborative, causing difficulties in reaching agreements and instead insisting on their own thoughts and ideas. Moreover, many New Oriental teachers are becoming more famous and some students choose New Oriental just because they want to see the popular teachers. Those teachers think they bring much profit for New Oriental and they ask for higher salaries. If New Oriental refuses to meet their needs, they often choose to leave. It is a pity that some teachers have lost their original intention of being good teachers, they want to be more famous and earn more money instead. Nevertheless, there is still a long way for New Oriental to go, and I also look forward to watching it develop in the future. Public school district system in China: Realizing a real equity or bringing a new threat to Chinese education? In February 2014, Chinese Ministry of Education issued a scheme of school district system, which allows that students to attend neighboring schools without passing examinations. This policy aims at allocating student resources more equably. Since China passed the first compulsory education law in 1986, Chinese education has experienced a lot of reforms, especially in public education. At the beginning, the compulsory education was only defined as “required” education; Chinese students still had to pay certain tuition and miscellaneous fees (including books and school uniforms). To help more students receive education, the revised 2006 education law stipulates explicitly that students will receive a nine-year compulsory education without any tuition and miscellaneous fees in public schools. This education policy ensures that more students attend schools, while also giving students a right to choose their desired schools. This creates a phenomenon of more students choosing to go to key schools  instead of regular schools, especially in urban areas. It is common that many key schools set up entrance examinations to select best students, and even ask for higher education fees for students with lower examination scores . On the contrary, regular schools are facing a shortage of student resources, creating a serious imbalance between key and regular schools. In this context, the school district system has been put forward to alleviate this imbalance. — In 1986, the Chinese first compulsory education law states: local governments set up elementary schools and middle schools to ensure that children can receive education in their neighborhood. — In 2006, the revised compulsory education law states: local governments should guarantee school-aged children can receive education in schools which are near to the places of their official residence. — In 2010, the “National Long-term Plan for Education Reform and Development” states: to adapt to the urban and rural development, local governments should regulate the school distribution to make it convenient for students to attend neighboring schools. All the relevant educational laws and regulations mention that students should choose neighboring schools to receive education. This new school district system emphasizes that students can attend neighboring schools without examinations, which would release pressure on students. At the same time, for those students whose homes are near key schools, they don’t need to compete with other students any more. Moreover, to avoid losing student resources, local governments will also strengthen the efforts to increase the quality of schools in order to balance the school facilities and quality of teachers in different schools. It is hoped that, as a result, parents won’t try to send their children to key schools; and children won’t have to experience the intense competition in their early ages. To some degree, this policy creates a relatively equitable and healthy educational environment. However, under the schools district system, one of the problems has caught people’s attention. The revised 2006 compulsory education law mentions that students can attend schools near their official residence, which means that students can attend any schools near their homes. The problem is two-prong. First, rich families may want to guarantee that their children receive best possible education and do not hesitate to spend plenty of money in order to buy houses near key schools. 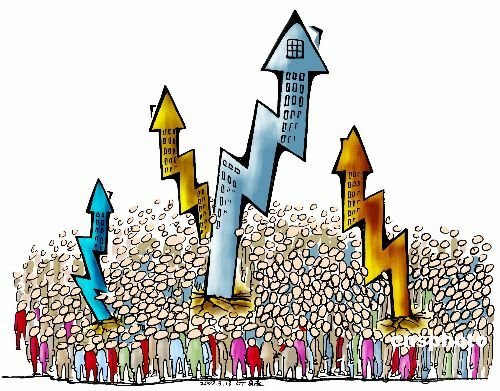 In Chinese newspapers, news about “extremely high-priced school district housing” has been reported frequently and it is very common that parents buy school district houses in order to send their children to good schools. Second, poor families may be renting houses, which may prevent their children from attending neighboring schools. In other words, equitable access to quality education is still a problem. When children are rejected by schools because of the residential status, the educational system is not equitable any longer and has lost its own original intention. This problem may become a threat for Chinese education unless the government makes some measures to change it. Unlike other countries where school district system has been used for years, China still needs better implementation mechanisms. Nevertheless, this system is a good attempt to reform Chinese education and it does bring certain advantages. Will it bring the real equity on public education? Or will it become a new threat? I believe we can find answers in the future. Tsang, C.M. (2001). School choice in the People’s Republic of China. Wu, X., (2011). The household registration system and rural-urban educational inequity in contemporary China. Population Studies Center. The course “International Education Policy” under the Master’s Program of Comparative and International Education at Lehigh University has broadened my view in various ways. One of them is the area of private tutoring, which has also been referred to as “Shadow Education” by Dr. Mark Bray. Dr. Bray is the UNESCO Chair Professor of Comparative Education in the Comparative Education Research Centre at the University of Hong Kong whose research focuses on private supplementary tutoring.Before taking this course, I had an impression that private tutoring primarily existed in Southeast Asian countries. However, I have learned that it has been very common in many parts of the world, including Europe and the United States, but just in different forms. It reminds me of many interesting scenarios about private tutoring in Hong Kong, which I will examine in this blog. Mainly, there are two types of private tutoring in Hong Kong. 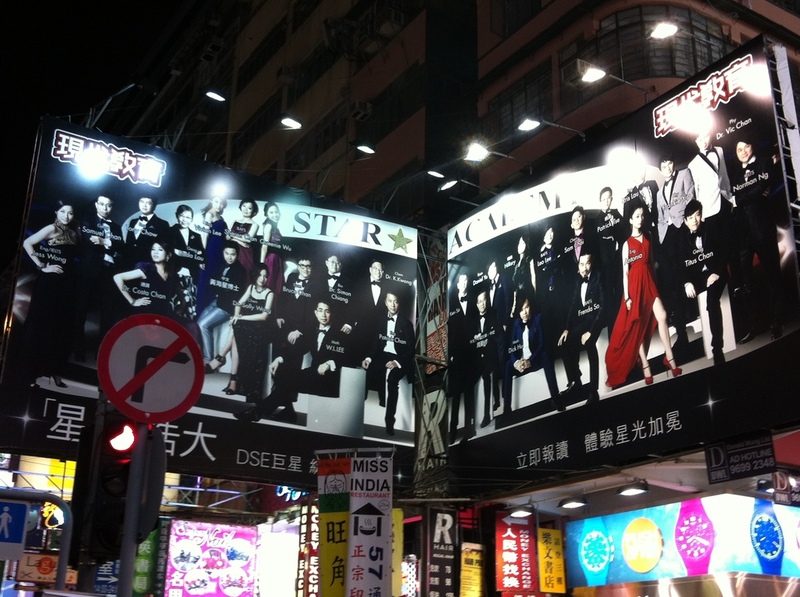 One is held at home and the other one is held in the education centers, which operate as businesses. For the former one, numerous online websites serve as a bridge between students and private tutors to match the requirements or criteria of both parties. For the latter one, there are significant numbers of education centers with a wide variety of choices for the public, including classes in musical instruments, dancing, artwork, languages, sports, martial arts, or even actuarial science. Some people may refer to these classes as enrichment programs. Evidently, many learning centers also offer classes in academic areas, like English, Mathematics, Chinese, while some of them purposely assist students tackle local or overseas public examinations, including SAT and TOEFL. Many factors contribute to the flourishing industry of private tutoring in Hong Kong. First, Hong Kong’s examination-oriented education system has put too much emphasis on the students’ academic results, which can alter their future academic and professional trajectories. The recent shift from two to one public examination due to education reform from the British to American model further accelerated the explosion of private tutoring as students have much more pressure to only have one chance at succeeding on the exam. However, being a good student does not mean that you can be successful in these examinations. What students need are the techniques and strategies to predict accurately the topics or questions in the upcoming exams according to the pattern from the past papers, as it is almost impossible for students to study all of the materials that teachers provide in the curriculum. By paying tuition for private tutoring, students hope to perfect the specific skills that they cannot learn in public schools because regular schoolteachers are deprived of comparable resources or the time to do that. Second, Hong Kong parents have the mentality of pushing their children to achieve excellently in academics due to the great influence of Confucianism. Because the birth rate of this city is one of the lowest in the world, “tiger parents” often place all their hopes in one child to become a “Dragon” – an almighty creature in Chinese culture. Before the babies are born, mothers already think about which kindergartens, primary, and secondary schools their children would need to get in, so that they could attend the top universities and have good jobs at the end. Parents also believe that private tutoring could assist their children in learning extra information, so that they could succeed on public examinations. In addition, parents expect their children to become competent in all areas, including languages, art, music, sports, and martial arts. They do not want them to lose at the starting point. As a result, they force their children to enter this vicious cycle of competitions and occupy their free time with many private classes – no matter whether they like it or not, often as early as only one or two years old. Sometimes, kids are tired and cannot enjoy their childhoods due to excessive external study. We can imagine how much academic stress Hong Kong’s next generation needs to bear, especially those who fail in this system. This pressure has been blamed for a growing suicide rate among students with poor academic record. Fourth, there is a lack of governmental regulations of private tutoring and many tutors operate no differently than entrepreneurs. 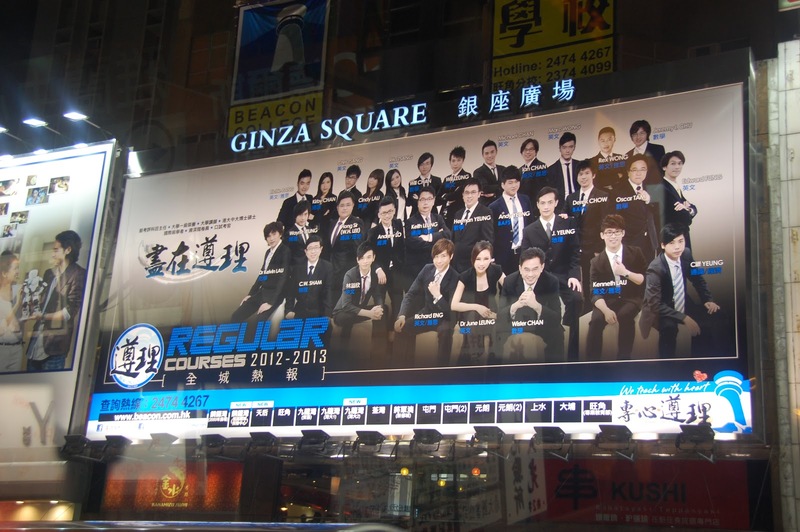 The most fascinating phenomenon is the emergence of giant billboards in the most popular places where teenagers go. This creates the image of private tutors as pop stars. Besides, millions and millions of advertisements go online. Glossy brochures and impressive promotional videos are seen everywhere. Some tutoring schools will have full-page newspaper advertisements and television screens in railway stations and on buses to catch youngsters’ attention, claiming to transform failing students into A-grade pupils. Some tutors even have their own teams of stylists, fashion designers and photographers to make them look perfect and attract students. Lately, with the advancement of technology, students can have additional purchases such as personalized interaction with the star tutor or the tutor’s assistant via Facebook or email. Research in other countries suggests that private tutoring is a manifestation of privatization in education. According to a recent study conducted by the Asian Development Bank and the Comparative Education Research Centre at the University of Hong Kong, private tutoring will aggravate social inequalities, divert needed household income into an unregulated industry, and generate inefficiencies in education systems. Sadly, the private tutoring phenomenon also demonstrates how little confidence parents and students in Hong Kong have in public education to lead the achievement of our next generation. Bray, M.(2009). Confronting the shadow education system: What government policies for private tutoring? Paris, France: UNESCO International Institute for Educational Planning. Hon, H.N. (2010). Hong Kong’s Shadow Education: Private Tutoring in Hong Kong. The Hong Kong Anthropologist, 4 (10). Ho, E.S.C., LAM, C.C., and WONG, N.Y. (2002). Parents’ Beliefs and Practices in Education in Confucian Heritage Cultures: The Hong Kong Case. Journal of Southeast Asian Education, 3(1), 99-114. Taking the SATS were the most stressful part of my high school career. I had always been a high achieving student, constantly getting A’s and increasing my involvement in as many extracurricular activities as I could. But I knew that I would not be able to apply to my dream colleges if I didn’t master the dreaded SAT. I was fortunate enough to be able to take an SAT class with other students – three hours every week that was meant to teach us how to take the test. I ended up doing quite poorly on the test after that class, and decided to take it again in the beginning of my senior year with no class, tutor, or preparation. I got the same exact score. With my frustration mounting and college applications due asap, I knew that my dream schools were no longer within reach. And of course, being the overly dramatic high school senior that I was, I equated my SAT score with my future success and happiness. 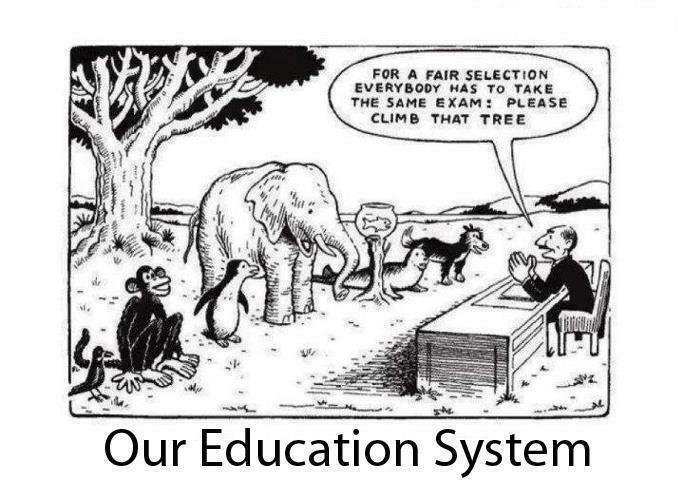 It is difficult for me to make sense of the College Board’s decision to drastically change this test in 2016. This new test will have different vocabulary words, focusing on “high utility” words that appear in more contexts. It will be shortened to three hours with an optional essay “in which students will be asked to analyze a text and how the author builds an argument.” These essay scores will be separate from the other sections of the SAT, unlike the current test that has a required 25-minute essay where students must argue a position. This new test out of 1600 will have a 65-minute critical reading section with 52 questions, a 35-minute written section with 44 questions, and an 80-minute math section with 57 questions. How the College Board came up with these calculations…I will never be able to understand. In addition, every test will contain a passage from a US founding document. As if the test wasn’t unfair enough for non-US citizens, here the College Board goes again, making it even more discriminatory. 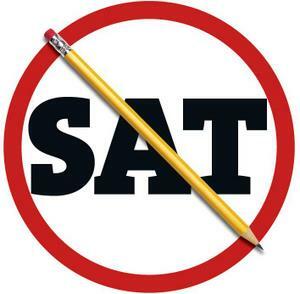 David Coleman, the president and chief executive of the College Board, spearheaded the process of revising the SAT. He was also one of the key architects of the Common Core state curriculum standards across the nation, and argued that the College Board’s vision of the SAT should parallel that alignment. These changes are being implemented, in theory, because standardized tests have become too disconnected from the work of high school students, and are not preparing students for the information that they may encounter in college. Rather, tests are too full of “tricks” to raise scores and are too stressful for students. While I do agree with this sentiment, I do not see how the foreseeable changes will fix this problem. Another internal change coming is that the College Board will partner with Khan Academy to provide free test preparation materials to students, hoping to create a more transparent test between students, teachers, and guidance counselors. I can see the benefit of this plan, as standardized tests are meant to be an equalizer in the first place, so it is unfair that some are able to afford “insider secrets” while others must blindly take this test. However, I believe that SAT tutors will quickly adjust to this new test, continuing to offer their test taking tips and services at a high fee for only the wealthy to afford. But any step towards transparency would be a good one to take. Recently there was a NY Times article about a former Lehigh student, now very successful journalist, who feared getting into Lehigh because of his SAT scores. Because he had previous generations of Lehigh alums within his bloodline, he was able to secure a spot in his graduating class. As a student who once believed that all of my hard work in school was worthless because of my low score on this exam, this article was important for me to read. This article proved that the higher your income bracket, the higher your SAT test scores, and that one’s scores had zero correlation with future success. While this is all very reassuring, it is still hard for me to relive my SAT days. My brother will be affected by these changes in 2016, and I am curious if these changes had affected me, would I have done better? Would my college applications have yielded different acceptance results? I can only wonder. Ever since I first learned about Teach for America, I knew I wanted to participate. Social action, teaching, working with underprivileged kids…I wanted to be Hillary Swank from Freedom Writers. I thought this could be my chance at sculpting young minds through education, which I already know is a powerful socialization tool. It was not until this year that my praise and glory of TFA shifted. After receiving countless emails from TFA recruits on campus, I decided to meet with one. She, of course, represented everything that is positive and optimistic about TFA: someone whose life was changed by the amazing and talented group of kids and staff that she worked with for two years. Clearly this program changed her so much that she is continuing to work for TFA as a recruiter. But getting multiple emails a week was a bit much, and made TFA seem more commercialized and less competitive. Throughout this year I have continued to hear more and more criticisms of the TFA program. I’m sure they have always been out there, but I think that I turned a blind eye so that my idealistic program could live on as a part of my future. Recently at Macalester College in Minnesota, a TFA Truth Tour presentation took place with a panel of teachers and former Corps members exposing the truth about TFA’s educational policy. According to Neja Singhal, a former corps member, “…if more college students actually knew what TFA was doing at the policy level, they would not be applying to be a corps member. They would never want to be a part of this organization.” TFA seems to equate student leadership skills with teaching skills – a very sellable message to high achieving students, but not necessarily the reality. During Singhal’s experience, many of the teachers in her assigned school were laid off as TFA teachers were entering, possibly due to the high turnover rate for TFA members. Many news articles disagree with these criticisms, highlighting the powerful impact that TFA can have on teachers and students alike. In the past month, a group of observers from various media outlets observed Nicholas Boatwright’s class: a TFA corps member teaching mathematics. The observers were astounded with Boatwright’s teaching abilities, noting how much these kids respected him, looked up to him, and were improving their scores. Boatwright admitted that he had never thought about being a teacher before getting into this program, despite the amazing experience that he is having. Why would someone enter into a teaching program if they did not intend to be a teacher? It is certainly true that Corps members do not receive as much training as certified teachers. In the article and study, Does Teacher Preparation Matter by Linda Darling-Hammond, Deborah J. Holtzman, Su Jin Gatlin and Julian Vasquez Heiling of Stanford Univeristy, findings suggest that teachers “consistently produce significantly stronger student achievement gains than do uncertified teachers.” There is a clear relationship between teacher education and teacher effectiveness – one that I am not convinced TFA is committed to understanding. 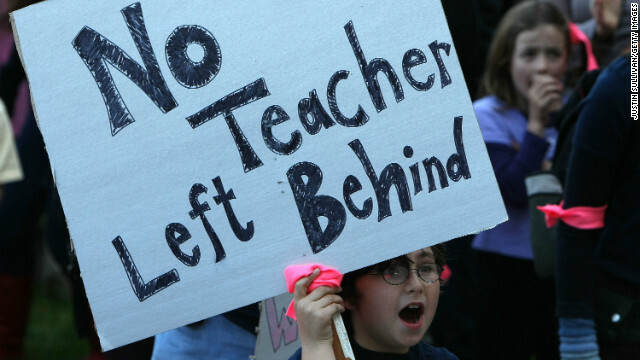 In Teach for America and the Politics of Progressive Neoliberalism by Randall Lahann and Emilie Mitescu Reagan, TFA is categorized as an example of “progressive neoliberalism,” holding all of the criticisms of neoliberal education. This article also presents the concern over whether TFA “can truly operate as a corrective agent to the market, given that corps members only receive five weeks of pre-service teacher preparation before entering the classroom as full time teachers.” Though I am not a mathematician, I do not think that those five weeks are equivalent to the amount of weeks required to get an actual teacher certification. If you had asked me a year ago to describe Teach For America, I would have made you watch Freedom Writers and told you what an inspirational, motivational, and life changing program it is. It used to be a dream of mine to participate in this program. However, as a senior witnessing so many of my classmates applying to this program for all of the wrong reasons and being accepted, my perception has changed. It seems as though TFA has turned into a program that students apply to if they have no other job prospects. Rather than commit because of a love and attraction to teaching, many of my friends have applied simply because they do not know what else to do with themselves next year. I do think that TFA has great intentions and attracts some of the best students nation-wide. But those are the students who are natural-born teachers. And since I am not certain that I want to become a teacher, the critiques of this program are clouding what I once thought was idealistic. Less than one million students, 20,000 teachers with almost no female participation. 34, 00 schools–majority with unusable buildings. No standard national curriculum or textbooks. Only four Teacher Training Colleges with 400 students. 220 unregulated Madrassas without any formal curriculum. 8.6 millions of children and youth are attending schools (over 5.29 million boys, and over 3.35 million girls). Hundreds of thousands attend universities, and similarly tens of thousands are accessing literacy classes and vocational training. While gender gaps and disparity still persist, access to education for girls and women has significantly improved over the years. Again, though the numbers show quite an improvement, there is still a long road ahead. Some of these challenges, such as Afghanistan’s gender divide, continue to persist: “While 66 percent of girls attend primary school, compared with 92 percent of boys, the share of girls attending secondary school drops to 26 percent. Across the country, the growth in enrollment rates has been uneven. For example, over the past decade, nearly 350,000 girls have completed high school. In Kandahar, the country’s fifth-most-populous province, there are only 4,027 female high school graduates” (Mashal 2014). Other challenges include poverty, health, lack of teachers and teacher training facilities and most importantly lack of security. While “more than 30% of primary school-aged children are still out of school… even children who attend school still struggle to read and perform basic math” (Albright 2013). Despite all the odds, Afghans continue to struggle. Recently I had a chance to interview an Afghan Fulbright student, Hamid Akbary, who is currently pursuing his graduate studies in Sociology. He seems quite optimistic and reminds me that the youth of Afghanistan are hopeful. Hamid states that just during his years he has seen a significant growth in children’s access to school. Many universities and colleges that were closed during the Taliban era have reopened, allowing greater freedom of thought. He states that students have the freedom to “express their ideas and use creativity in their skills and expression of new ideas and intellectual discussions.” He continues that this freedom of thought is the key for young Afghans to “play a role in moving the country forward to a free society through media, student organizations, and other democratic ways.” Although he does acknowledge the aforementioned challenges, his optimism seems to be contagious! Ukrainians with Western education are eager to fight corruption and bureaucracy in order to improve their country’s welfare in the aftermath of recent political upheaval. According to the most recent data of the Ukrainian information agency “UNIAN,” 1.5 million professionals with degrees from Harvard, Oxford, Columbia, and other leading universities are willing to work for the Ukrainian government for free. The question is: How willing and interested is the government to use their services? The answer is an almost definite “no.” On the one hand, accepting the volunteer services offered by Western educated Ukrainian would save the Ukrainian government millions of dollars. On the other hand, the human factor will serve as a barely surmountable obstacle. How would the corrupt power benefit from the reforms by Ukrainian citizens educated into understanding the corruption as an undesirable, and, furthermore, shameful practice? To the relief of education specialists, there is hope for the Ministry of Education. Apparently, Serhiy Kvit is actively collaborating with Western education officials in order to combat corruption. However, doesn’t the anti-corruption initiative have to be uniform and target all the spheres of life to be effective? Can it cause serious change while addressing education exclusively? Obviously, the people who have been building a kleptomaniac state for years will not easily allow the newcomers to overtake their business and implement Western anti-corrupt reforms. The system that exists in Ukraine now is so well-embedded and accepted that it will be difficult to deconstruct even for the people who truly wish to make a change. As a student who has gone through all the major levels of Ukrainian education, what concerns me the most is the reaction of the student population to the changes. Are they going to be able to face the fact that hryvnas will not be purchasing their grades anymore? My prediction is that until the government agrees to hire qualified workforce that was not exposed to and socialized into corruption as a way of life, Kvit’s efforts to create a fair education system will not produce a radical turn that students are expecting and hoping for. Currently, every first grader in Ukraine is aware of the unfortunate reality that he/she needs to pay extra or give bribes in order to receive quality services from doctors, post office workers, and teachers. My 5-year old nephew has already heard of the prices of As and Bs in school. He is now accustomed to the idea that he is going to grow up in the corrupt state. There is a high possibility that when he grows up, he is not going to perceive giving money “for tea” (a Russian metaphor for tips) as an unacceptable practice similar to the current Ukrainian administration. It is only when he leaves the country and has an opportunity to look at it from the outside that he is going to understand the effect of this practice on the society as a whole. Western educated Ukrainians have already done that and it would be a major loss for Ukraine not to take advantage of the life-transforming ideas that they are ready to offer.